The records of the Colony of Rhode Island and Providence Plantations were found to be lacking the names of persons admitted as freemen between the years of 1747 and 1754. 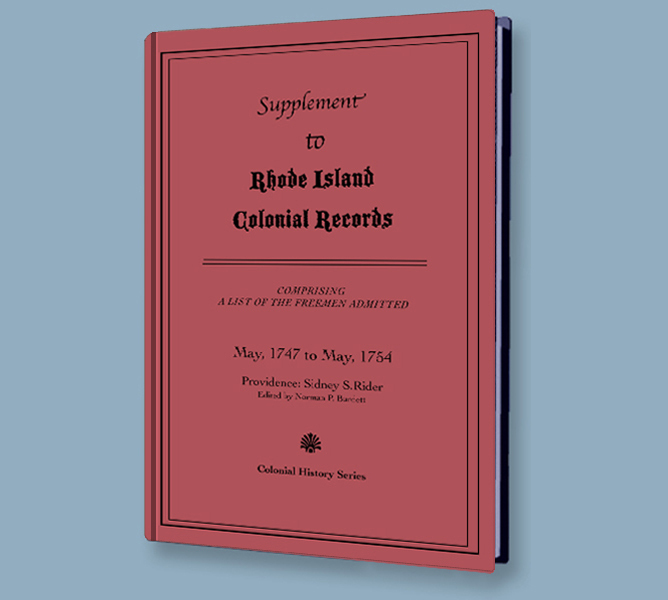 That tireless researcher, Sidney S. Rider, who gave us The Lands of Rhode Island, gathered the information from town records and produced this supplement, which is organized by towns. It is an essential reference work for genealogists and historians alike.